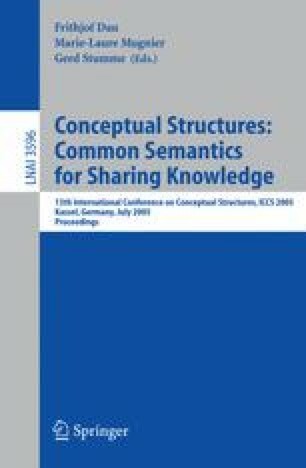 A logical view of formal concept analysis considers attributes of a formal context as unary predicates. In a first part, we propose an augmented definition that handles binary relations between objects. A Galois connection is defined on augmented contexts. It represents concept inheritance as usual, but also relations between concepts. As usual, labeling operators are also defined. In particular, concepts and relations are visible and labeled in a single structure. In a second part, we show how relations can be used for navigating in an augmented concept lattice. This part augments the theory of Logical Information Systems. An implementation is sketched, and first experimental results are presented.